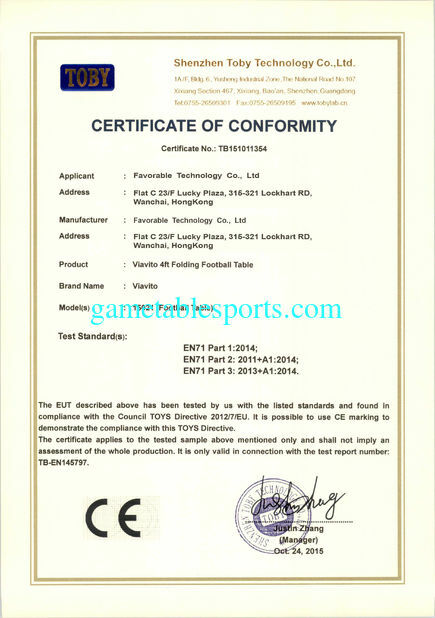 Lamination of soccer aprons Both side of side and end aprons with PVC laminated, both sides color are same. Same as signed sample. With black PVC edge. Ball entry: 2 plastic ball entry rings, PP black, postion on side aprons, 35cm dia. Postion: Distance top edge of the side panel 25mm. Soccer table end aprons 16,5 x 1,27cm MDF (E1 or E0) with PVC lamination. pre-drilled holes ball. Football goal: MDF goal with blac PVC surrounding. 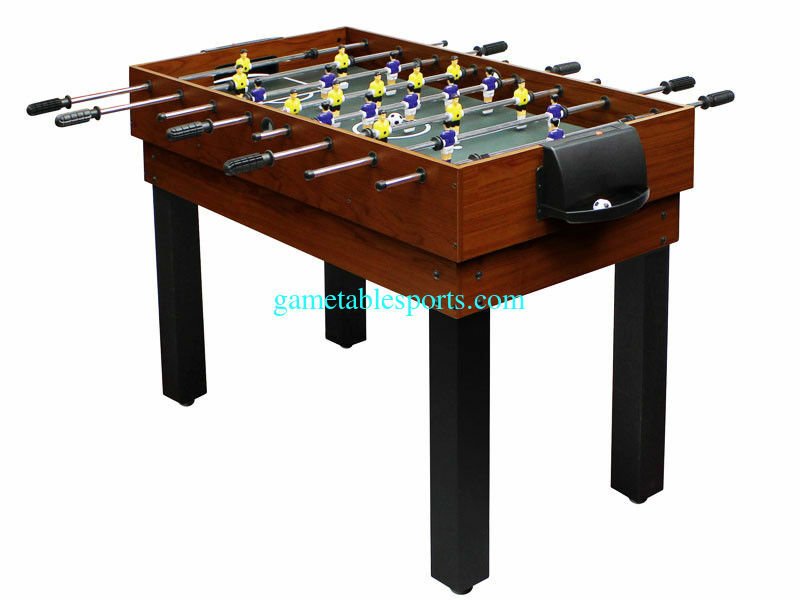 Soccer table playfield 1080mm x582mm x 3m (Thickness) MDF (E1 or E0) with green PVC lamination & white print, Lifted corner. Same as the signed sample. Bowling Shuffleboard/ chess + draughts + backgammon 80 x 38 x 0.32cm MDF both side with PVC lamination. Printed white chess and backgammon graphics. 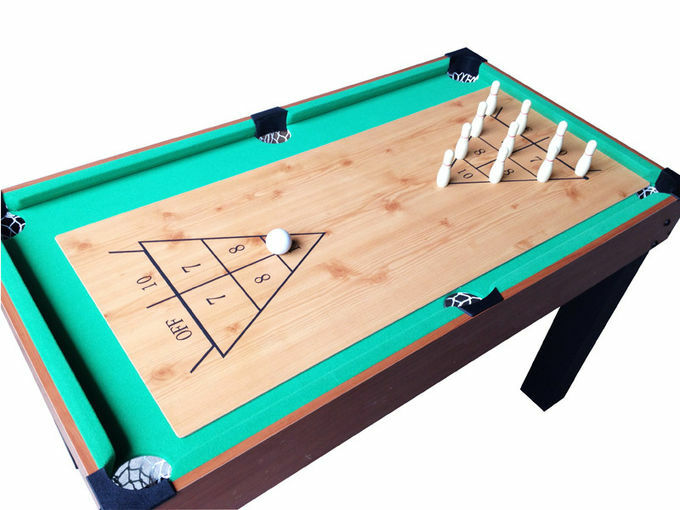 Billiards Table Playing Court: 0,475cm) MDF with green nylon cloth. 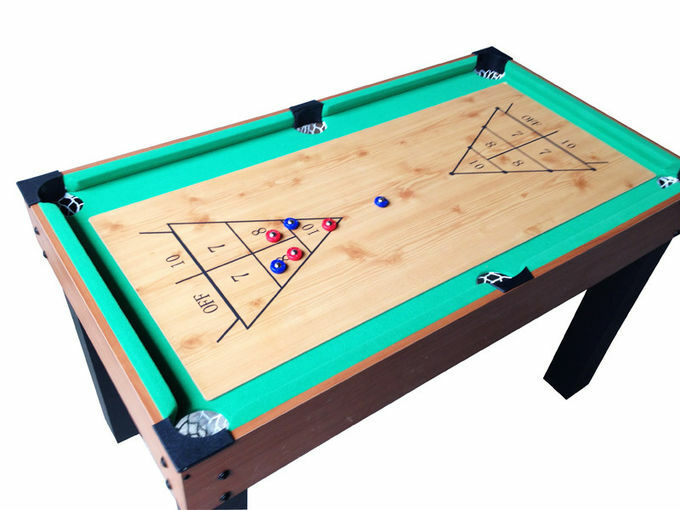 Billiards table side & end aprons: 105.8cm * 12,2 x 1,27cm MDF with PVC laminated. Stop rings 4pcs black plastic stop rings, Attached by bolt and nut. Hand grips 8 pieces soft PVC hand grips, black, Size: 9.5cm L. Same as signed sample. Soccer accessories Soccer 2 balls - Black/white, 32mm dia. Billard 1 Set with 16 billiard balls: 1-1/2"(38mm), 1 triangle, 2 cues: 36"(91,4cm) No brush and chalk! Table tennis 1 table tennis net 46cm L x 7.5cm , 2 metal table tennis posts 5mm * 100mm, 2 table tennis paddles, 2 table tennis balls -size: 4cm. 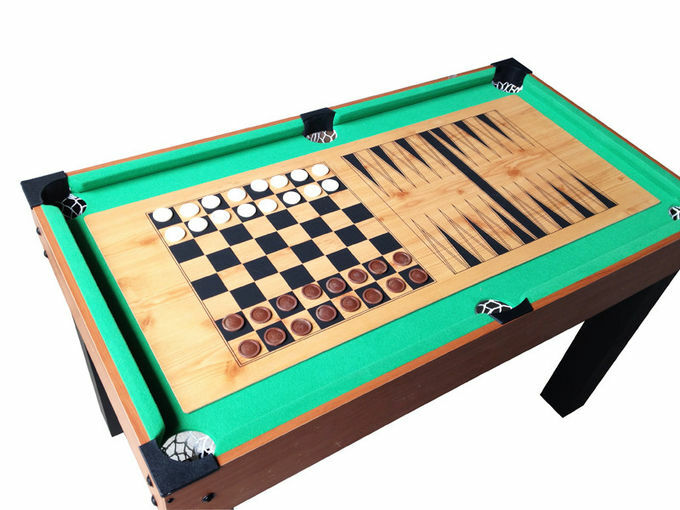 Draughts Uses backgammon coins and chess playfield for draughts.